Discount available! Recommend Touch GSM/SMS/RFID Security Alarm to your friends and get your Discount. 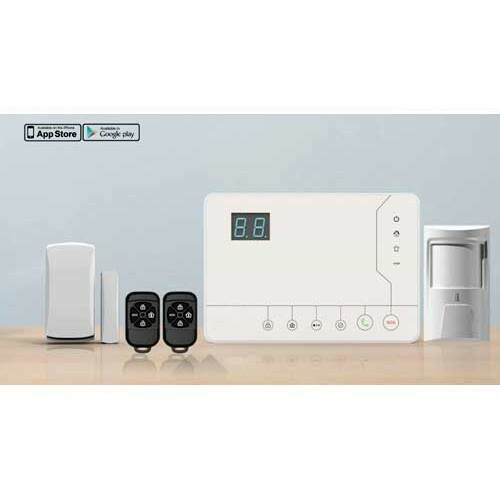 Wireless burglar alarm control unit can handle up to 32 zones for wireless sensors and 2 zones for wired sensors. Programmable via SMS and App for smartphones (iOS or Android), has GSM dialer quadriband, capacitive touch buttons, 2-digit LED display and rechargeble battery back-up. It can be stored up to 8 different user phone numbers, 3 phone numbers for administrator, 1 voice message with a maximum duration of 20 seconds and can be activated by remote control or RFID tag. The package includes: the control unit, two radio controls, a wireless sensor for doors / windows, a PIR sensor with bracket, two TAG, the battery back-up and power supply network. All the program item can be done by SMS and APP Operation. 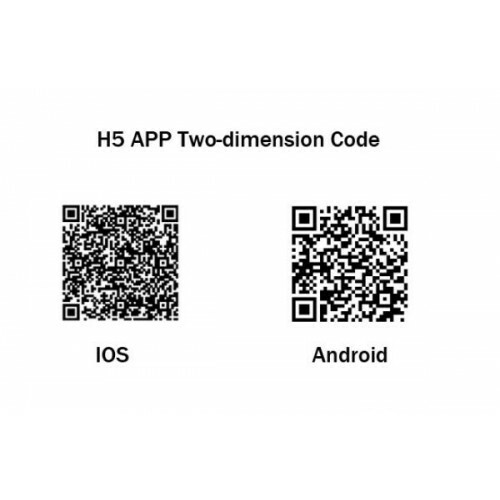 Be compatible with IOS APP and Android APP. Multi-languages available for different markets in the world. Support 96-wireless sensor, 2-wired and 4-RFID Tags. Zone 01-16 can be rename. Support 3 program numbers, for authority management. 8 phone numbers/1 speed-dial number/1 RFID SMS notification number. SMS content for zone name editable;RFID editable for easy use. With arm/disarm timer, can set based on working days and weekends. SMS alert for power failure, power recovery and low battery. SMS alert for low battery of two-way accessories. Arm/Disarm by SMS/panel keypad and RFID tags. Built-in backup battery for 8 hours. Supports 30 pieces of latest alarm events. Be compatbile with contact ID. PIR sensor for the extra control unit Wireless Alarm GSM / SMS / RFID. When motion ..